Our Gymnastics Star Trophy is perfect for any award occasion! 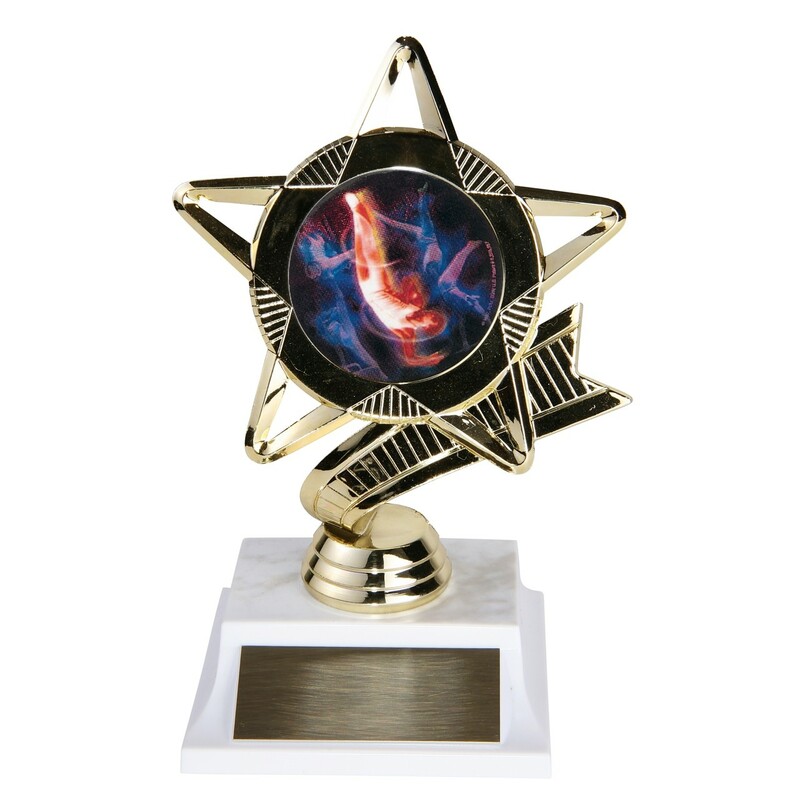 This trophy features a gold star-shaped figure sparkling on your choice of base. 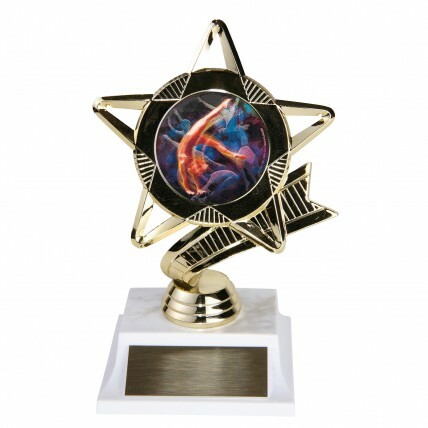 In the middle of the figure is a full-color holographic gymnast in action. Measures 6.5" tall; your choice of male or female.